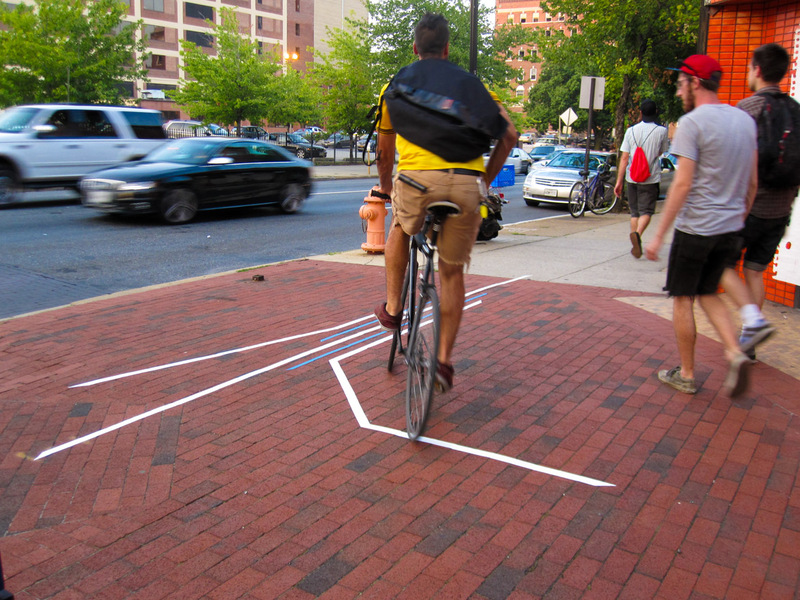 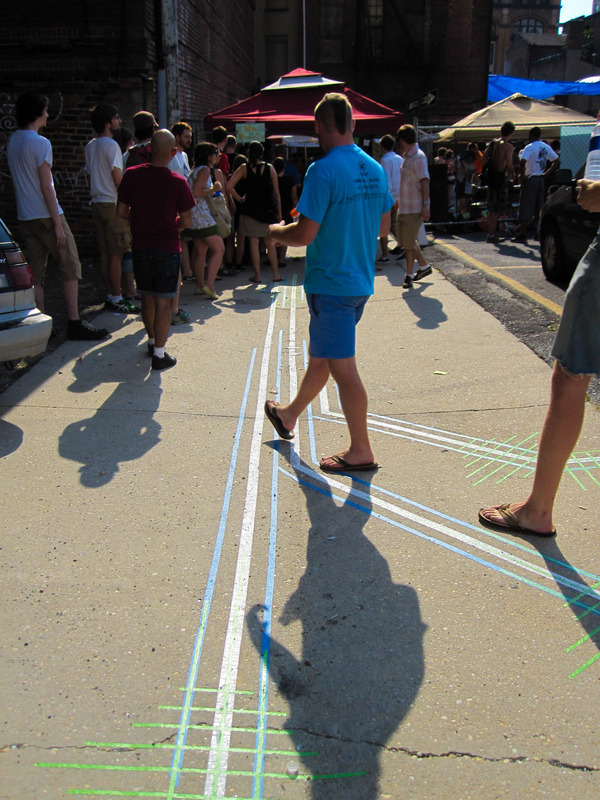 USM-Whartscape Tapeway 2010 served as a set of paths and gateways to the last-ever Whartscape, a festival organized by art collective Whamcity that showcased experimental DIY music and performance from Baltimore and abroad. 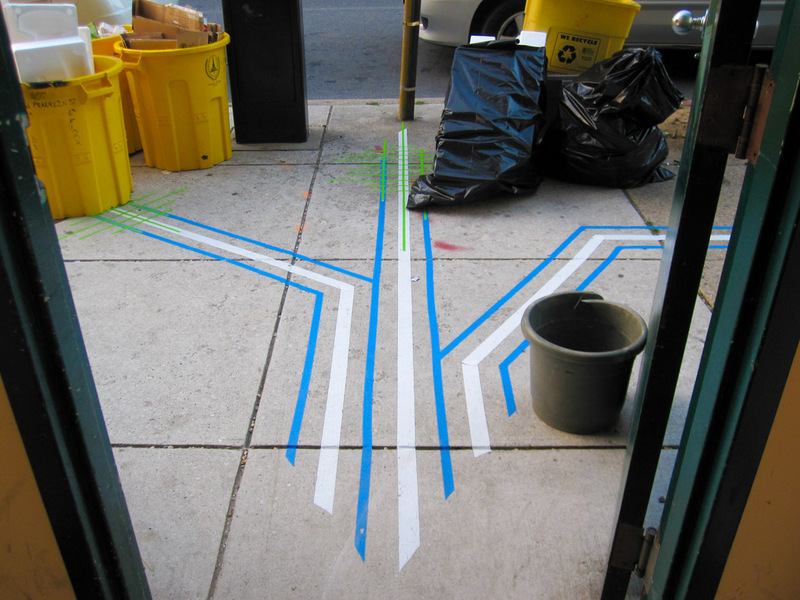 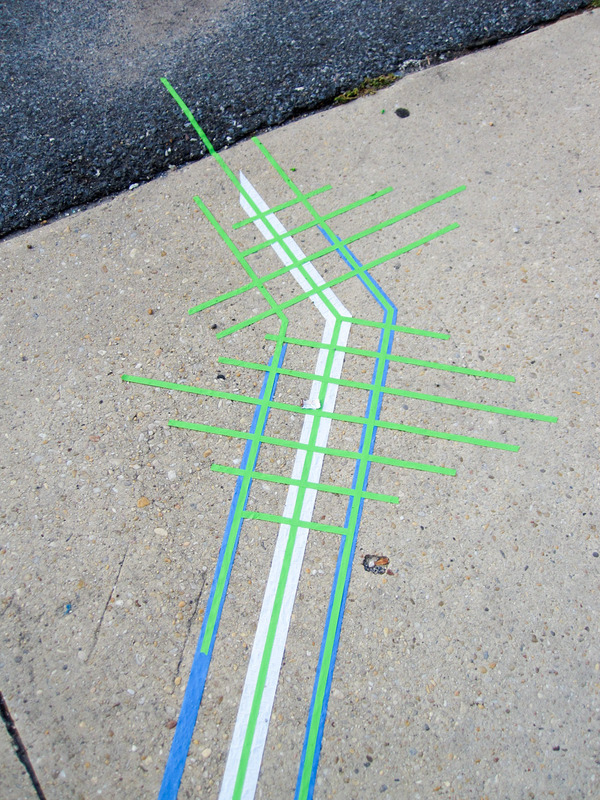 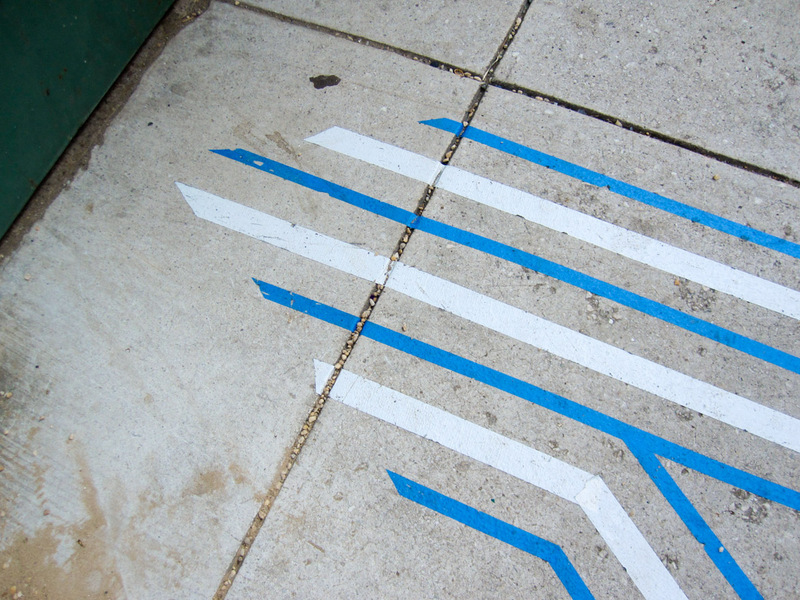 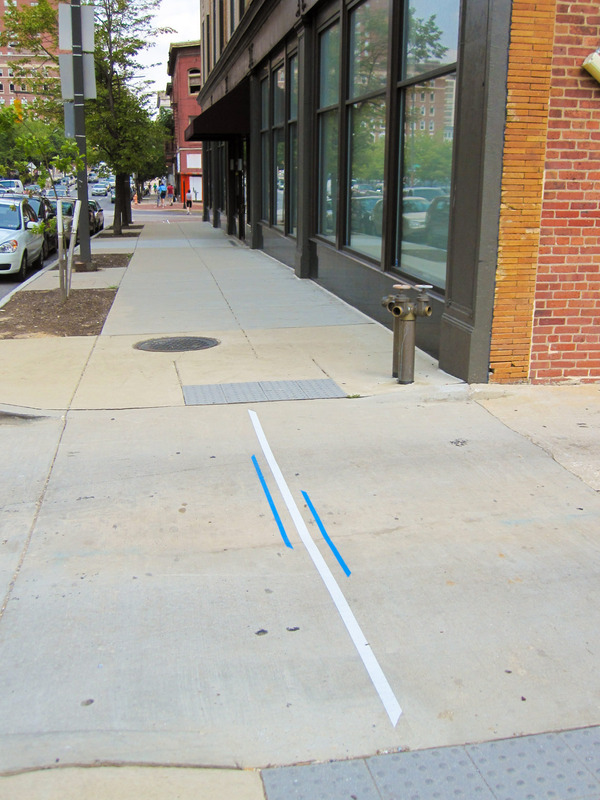 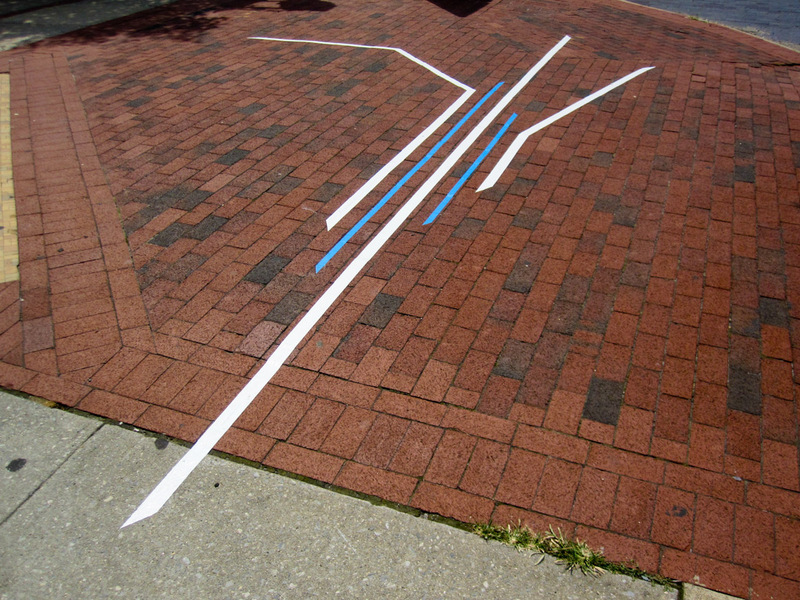 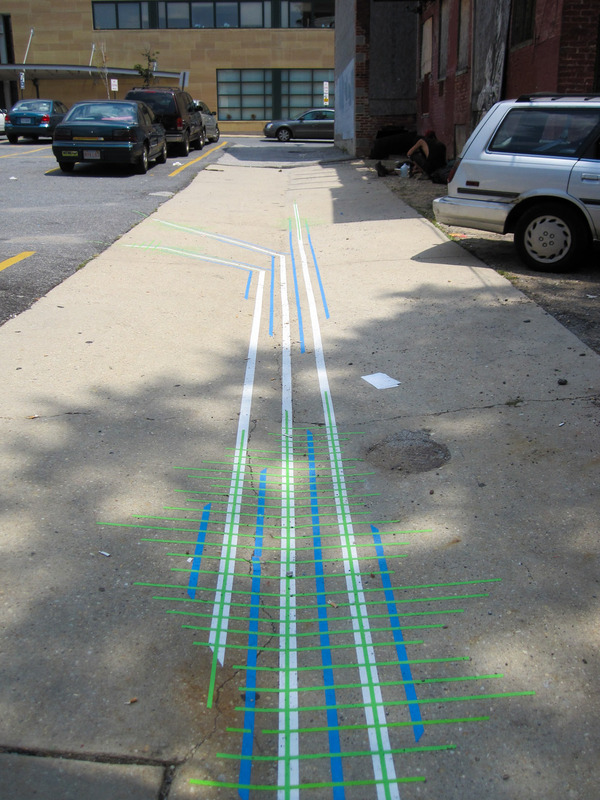 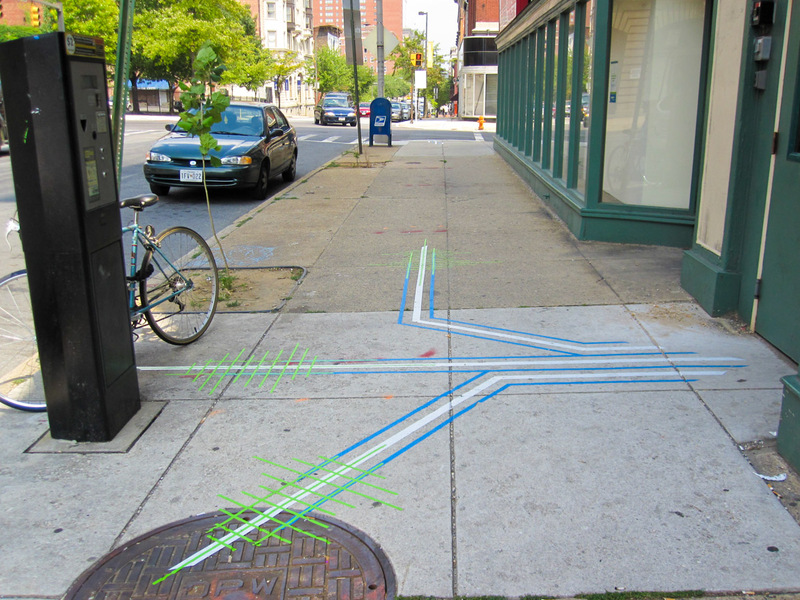 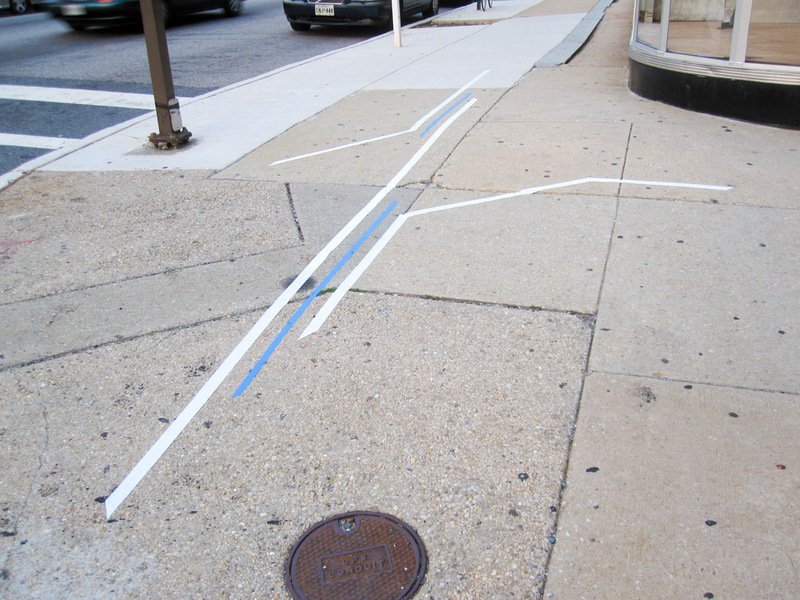 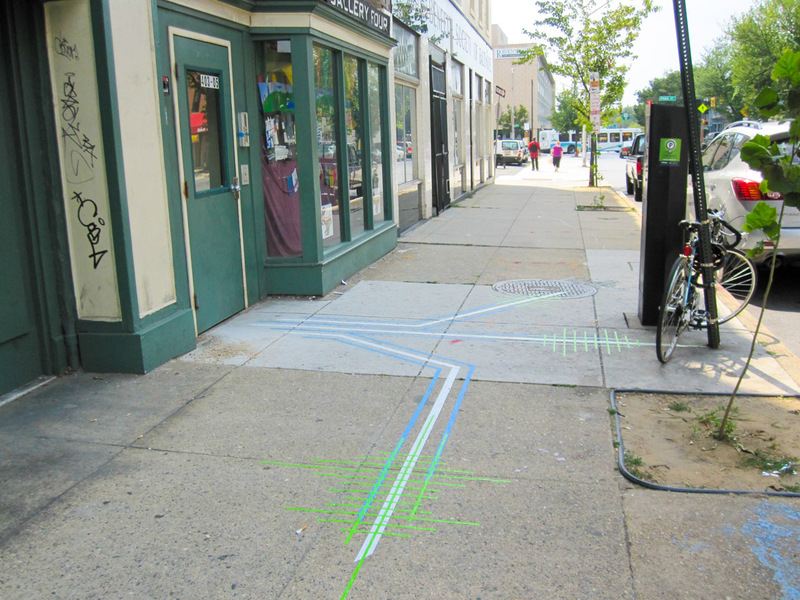 Streaks of colorful tape tracked movement and marked entry for festival participants as they walked between the Current Gallery’s outdoor, alley venue and the H & H, a loft building filled with live, work and performance spaces for many of Baltimore’s seminal creative risk-takers. 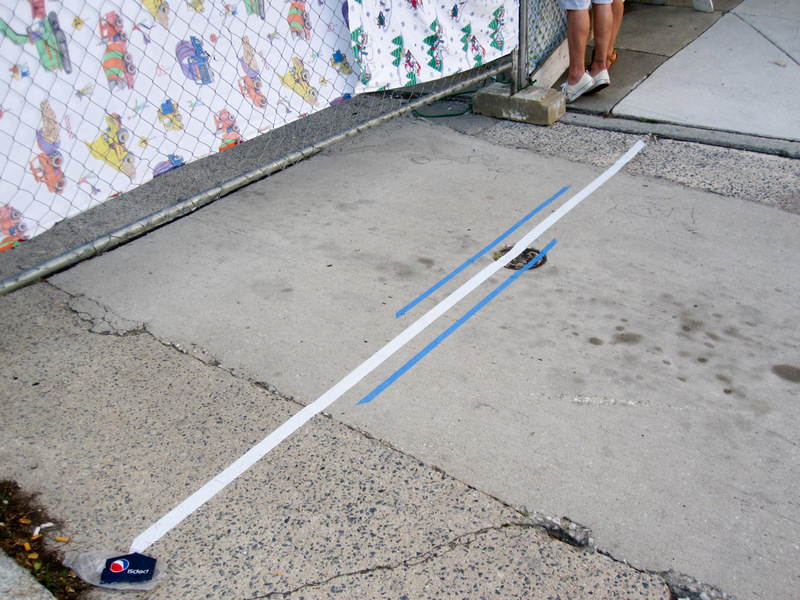 At the entrances to the parking lot / alley space behind the Current Gallery and the Franklin Street door to the H & H building, the Tapeway enhanced festival goers anticipation as they waited in line for the music within. 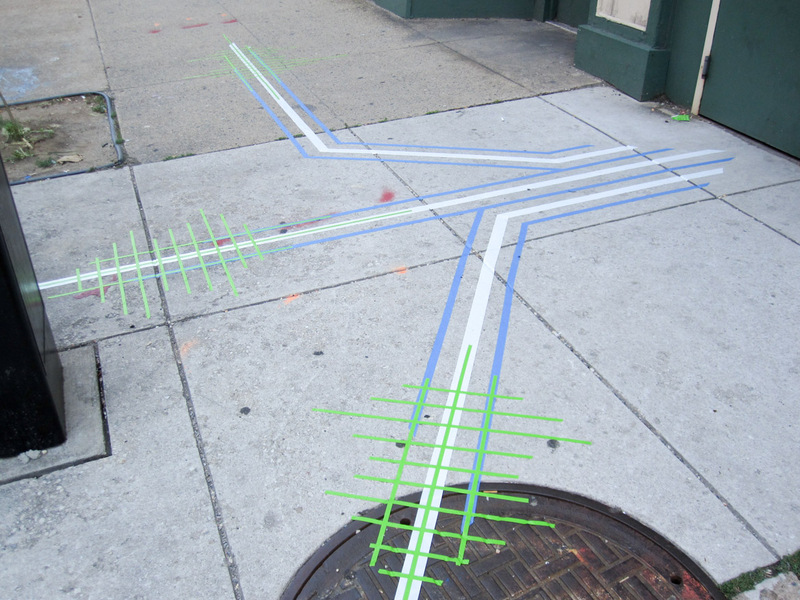 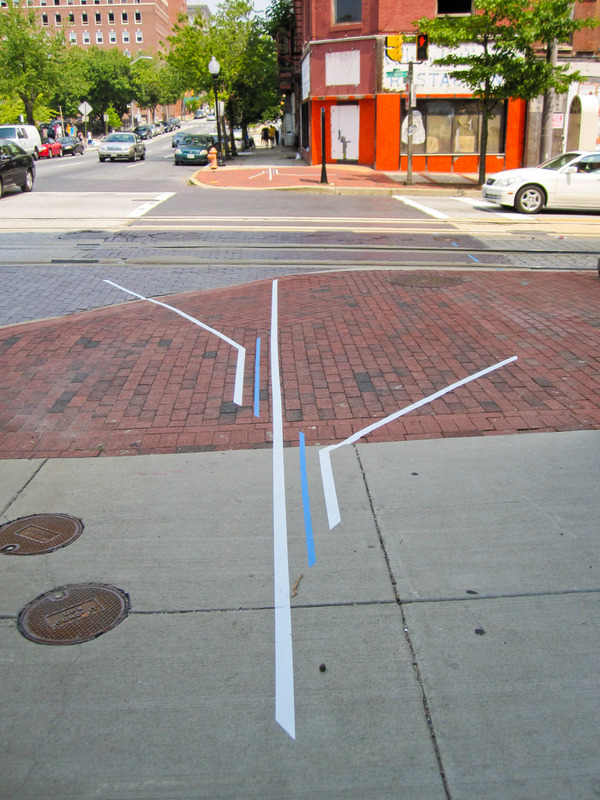 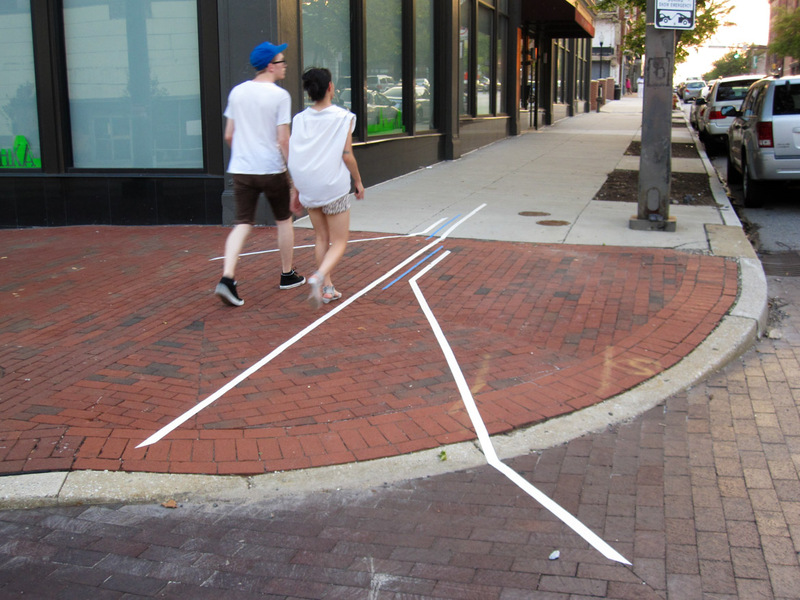 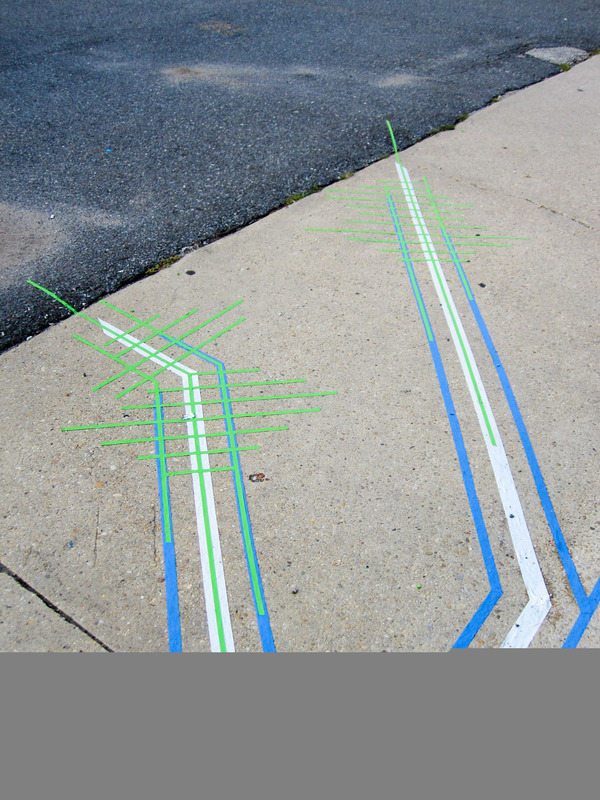 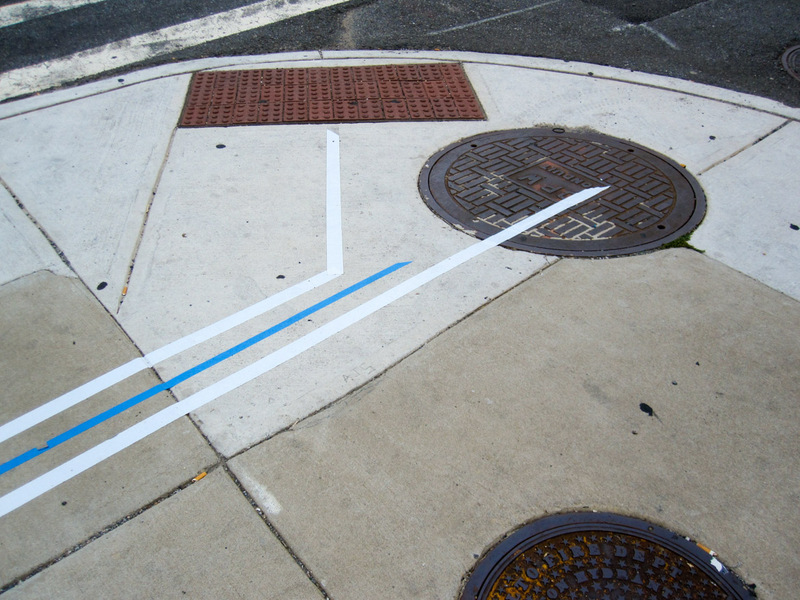 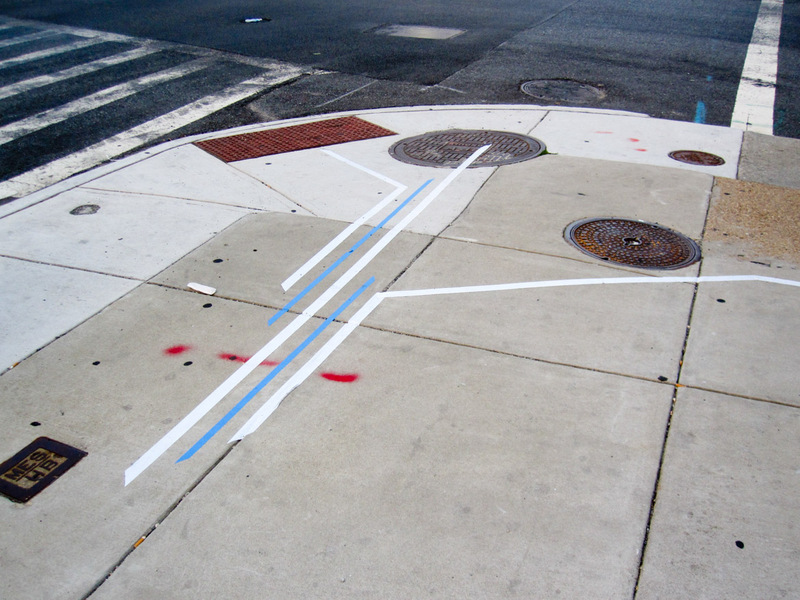 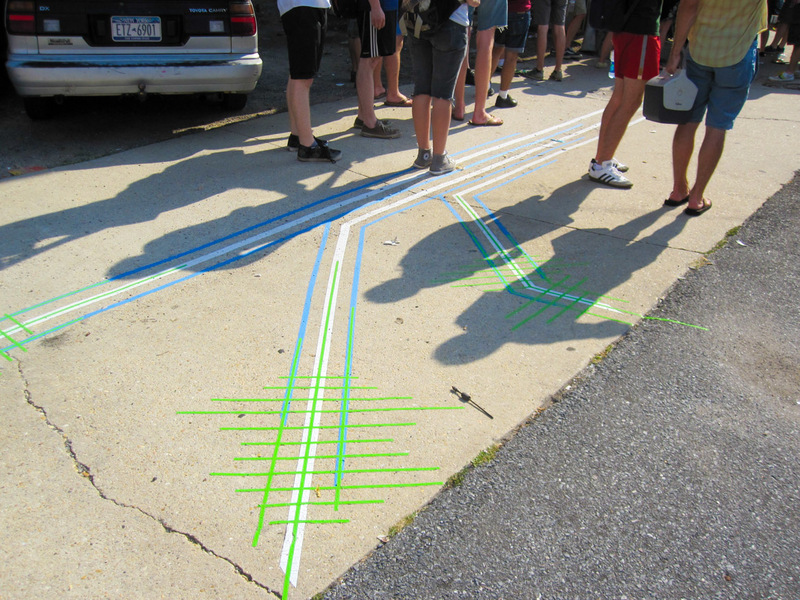 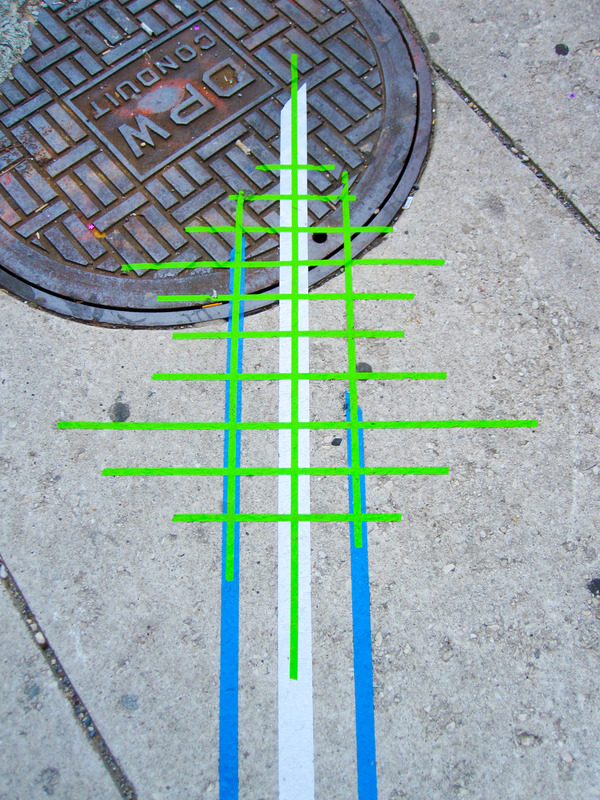 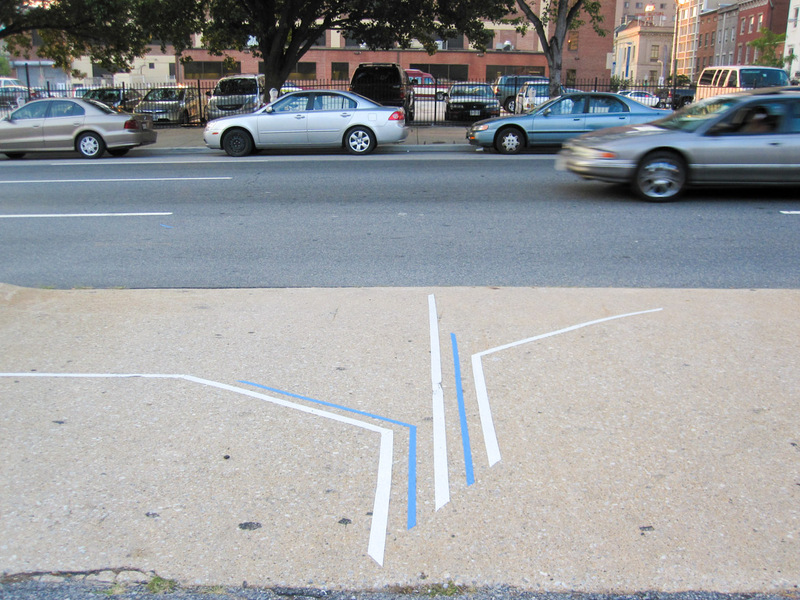 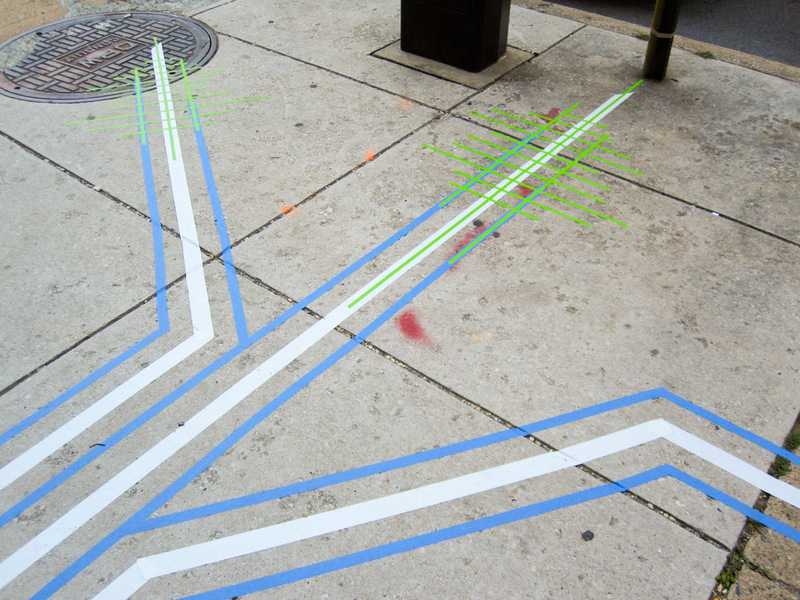 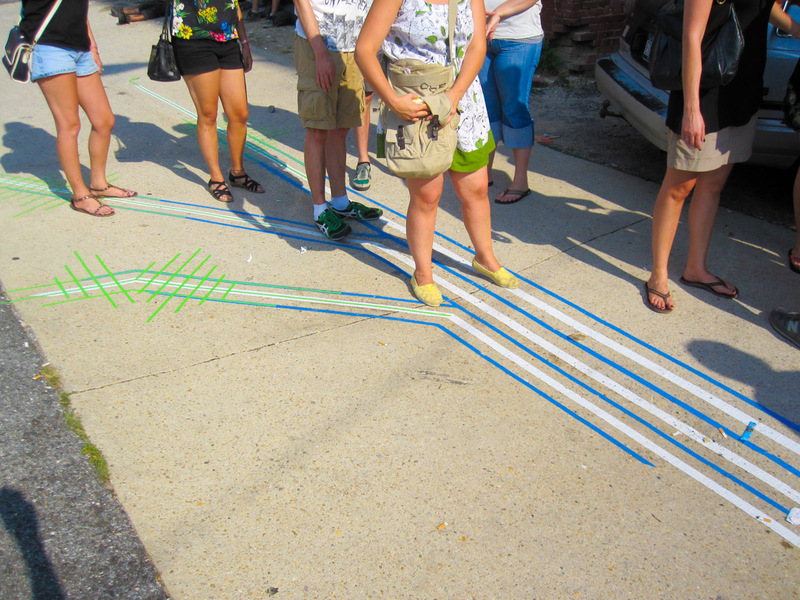 Between the two sites of excitement, nodes of intersection marked pedestrian movement as participants walked from one venue to the other and back.